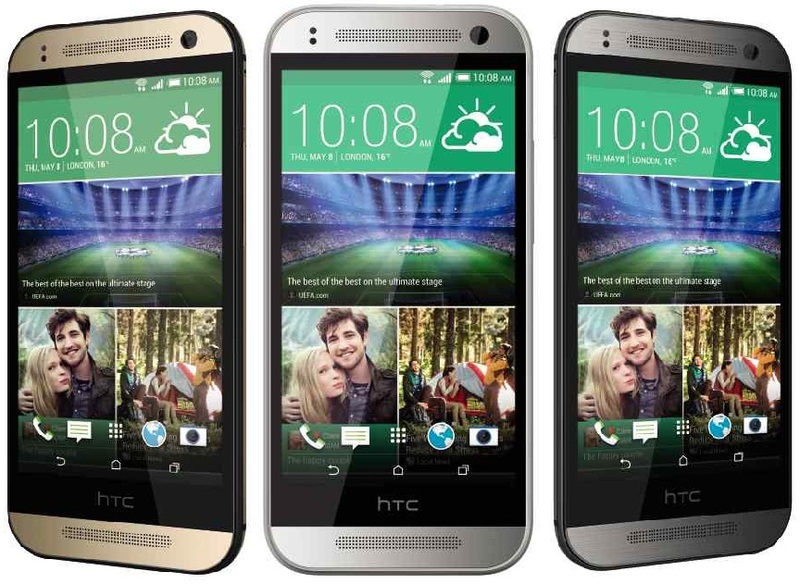 Recently, HTC announced that there will be no system software upgrade for the HTC One Mini 2. Ouch! That ought to hurt a lot of HTC One Mini 2 users. Since HTC has made its mind to keep HTC One Mini 2 outdated, many developers started working on a project beneficial to the users. HTC will get the Lollipop based upgrade, but not from HTC. Soenisti, the senior XDA member, developed a ROM specified for the HTC One Mini 2 which is based on Android’s Lollipop flavor with a 5.1.1 version. The 5.1.1 Lollipop Unofficial CyanogenMod 12.1 ROM can be upgraded on he HTC One Mini 2 with some simple steps. And That’s exactly the reason we are here for. So all of the HTC users who thought they were left out on the update, can now upgrade their system software. Lets dig in to it. The Lollipop based 5.1.1 version of the CM 12.1 ROM is effectively stable so you don’t need to worry about any of the bugs that might follow. Also, before we head on to the steps, make sure your device’s data is backed up, just in case for any mishap. Your device should have at least 80% of battery life so if in case the reboot process gets stuck for any reason, your HTC has enough juice to make it through. Verify the model number of your handset, because if your variant model is not supported by the ROM, there are chances that your One Mini 2 might be bricked. Wipe cache partition and wipe dalvik cache are important steps if the device gets stuck on rebooting after the ROM has been flashed. Before we go any further, enable USB Debugging on your HTC One Mini 2 to connect it to your computer and use Android SDK. To enable USB Debugging, head to settings on your HTC One Mini 2 then About Phone. Repeatedly tap on Build Number Until a message prompts ‘You are now a Developer’. Now head to settings again and navigate to Developer Options. Enable USB Debugging. Next you must Download the ROM ZIP file from this Link and save the file to your computer. Alongside the ROM ZIP file, you will also have to download GAPPS ZIP file. This will enable you to get all the essential Google apps after flashing the ROM as they do not come built in. Download the GAPPS ZIP file from HERE. Connect your device to the computer where you downloaded the ROM ZIP and GAPPS ZIP files. Copy these files to SD card root, not any other folder. Disconnect your device from the computer and shut it off completely. Now boot the device in recovery mode. To do that, press and hold the Power, Home and Volume Up button. The display will move to fastboot mode. Touch is ineffective on this mode so you will have to scroll through volume Up and Down keys and select it through the Power button. Now, navigate to Recovery and select it using the Power Button. The phone will boot into recovery. In the recovery mode, navigate to ‘wipe data factory reset’, this will reset your phone completely. After the reset, head on to ‘advanced options’ amd separately wipe cache, data, system partitions and dalvik cache. This step is always important if you are flashing ROMs. However, if you are only upgrading from the current version to the next, only wiping the cache and dalvik cache is necessary. Return to the recovery after wiping is complete. In the recovery menu, tap on ‘Install zip from SD card’. Locate the Unofficial CM 12.1 ROM ZIP file you transferred from your computer and select it. After selecting it, confirm the installation. The ROM file will flash on your device in a while. After its done, the GAPPS ZIP file needs to be flashed in the same manner. In short: Repeat the aforementioned procedure but instead of selecting CM 12.1 ROM ZIP, go for GAPPS ZIP file. Once the CM 12.1 ROM ZIP and GAPPS ZIP files are successfully flashed, tap on ‘reboot system now’. This will reboot your device. That’s that folks, your device will wake up to an Android 5.1.1 Lollipop based Unofficial CM 12.1. This is how you get Lollipop on your HTC One Mini 2 (Take That,HTC!). After the your device starts again, you should give at least 10 minutes to the ROM, this will ensure better performance. However, if you are a newbie to the flashing field, I would consider you to stick to the current version and endure it because if anything goes wrong in the operation, your device might get permanently bricked and useless. That’s it guys. Enjoy Lollipop on you HTC One Mini 2 and let us know in the comments if it worked. CIAO!